Our old friend Webster defines architecture as the art or science of building; specifically: the art or practice of designing and building structures and especially habitable ones. I like to keep this bit of information in the back of my mind as I am scouting for local buildings to shoot for my next project. But every now and again, I come across a structure that pushes the limits of this definition. Especially the “habitable” part. This old railroad shack is a classic example. It captured my attention from the moment I saw it. 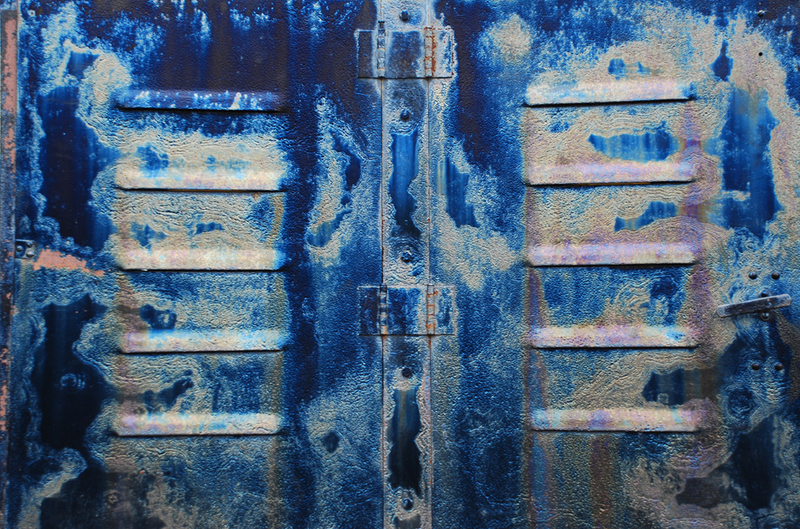 The bright rusty hinges add a spark of color against the weathered wooden boards. I like the way the door was built with the boards assembled in a herringbone pattern, as if someone wanted to add a bit of style to a utilitarian shed. 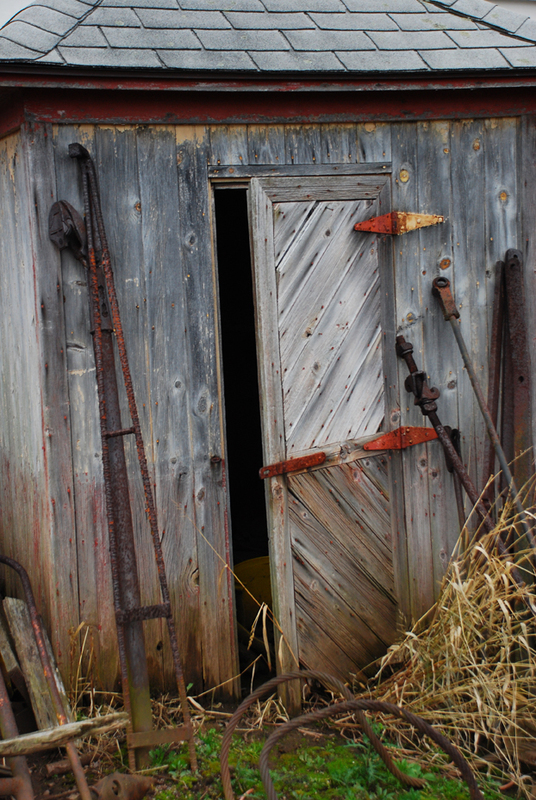 Even the iron bars propped against the sides appear to be positioned as if to help hold up the shed. Architecture comes in many shapes, sizes and styles in my neck of the woods. And sometimes, coming across a structure that pushes the limit can turn out to be just the shot I was hoping to discover. 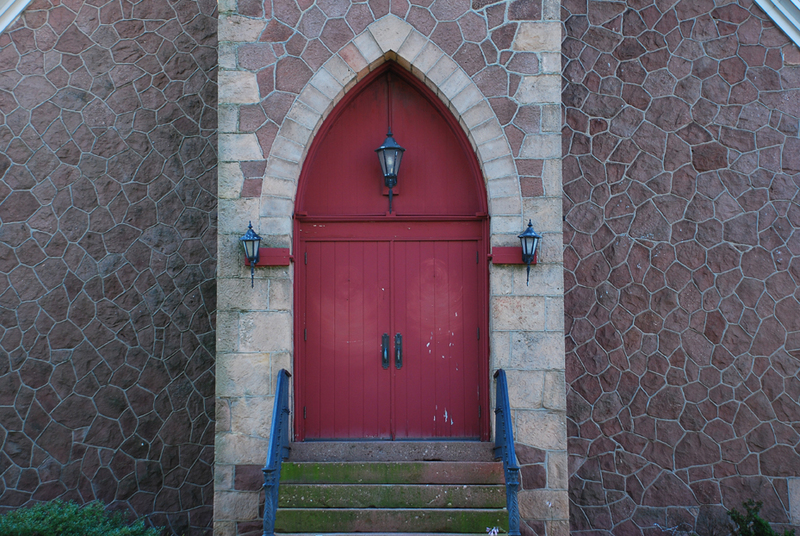 Always on the lookout for vignettes and details within architecture, no matter what the style or age, I was pleased to come across the main entrance to this historic church. A number of things about this scene caught my eye. I liked the color contrast of the stone around the entranceway against the walls surrounding it, and the patina of the flat red paint on the doors. The symmetry of the brownstone over the arch drew my eye to the center where an old lantern still hangs. The mossy green growth on the steps hints at the age of the building. And the stark blue of the wrought iron hand railing adds a surprisingly contemporary color choice to a more traditional stone facade. I have to wonder what is on the other side of these doors? What visual treasures would I find there? 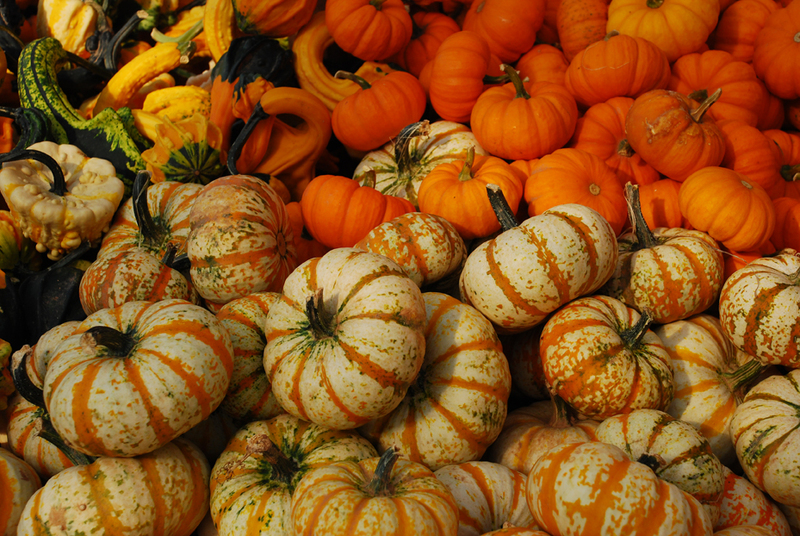 Here in the states, on the fourth Thursday of November, we celebrate the bounty of the harvest, and give thanks for family and friends. It is a tradition going back several hundred years and was started by the first settlers of this country. I would like to take a moment to thank all of you who have visited, followed and commented on my blog. It truly has been an enjoyable journey into the Blogger world and I look forward to continuing to share experiences, adventures, knowledge, and photographs with all of you. 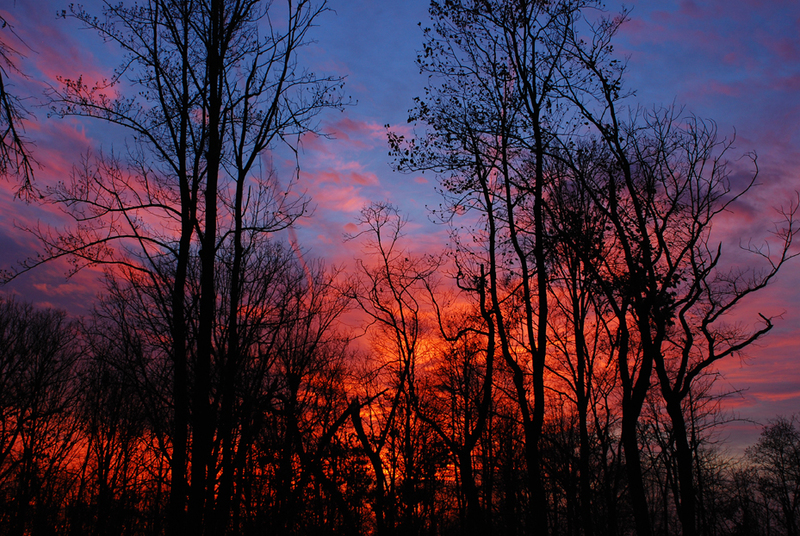 Our house and property is situated on top of a ridge surrounded by a hardwood forest, so the views for sunsets are limited to scenics with trees silhouetted against the sky. Now that most of the leaves have fallen from the trees, the ridge across the valley is visible and adds another layer to the scene. Which can make for some stunning imagery. For those grand vistas, a trip a few miles down the road to our local orchard is in order. Lately, the weather patterns have been unfavorable for sunsets no matter where the camera would be set up. The norm has been sunny and breezy with clouds during the day and cloudless skies near sunset. For the past few weeks, I have been wanting to get a good sunset or two with clouds illuminated by the setting sun, so I’ve been keeping an eye out for the opportunity. While we were getting the puppy evening meal together the other night, I just happened to look out the kitchen window. Low and behold…clouds! And they were lit up as if they were on fire! I gathered up the camera, tripod and cable release and ran out to the back yard. After quickly setting everything up and firing off 16 shots in three minutes, all evidence of the sunset was gone. But I got the shots I wanted. And the puppy serving time was only delayed by a few minutes. Although, I did get that look that said, “David why are you getting out the camera and tripod when we are due to eat 35 seconds from now? With so many historic foundries, furnaces, and old mills nearby, selecting photographic subjects can be challenging, simply due to the abundance of buildings and equipment that are on these sites. Sometimes it is hard to decide what to shoot next. In addition to photographing a location, as a whole or in part, I like to find the less obvious visuals that are smaller elements within the bigger scene. The peeling paint, rust and weathered patina these old machines have developed are an irresistible draw for me. And judging by the materials used to build this equipment, they were built to withstand the test of time. This is an image of the hub/axle assembly of one of the rear wheels on a mid 1930‘s roller that was used in paving roads. With so many old fieldstone and wooden barns in my area, it is almost a sure thing to find interesting vignettes to photograph. 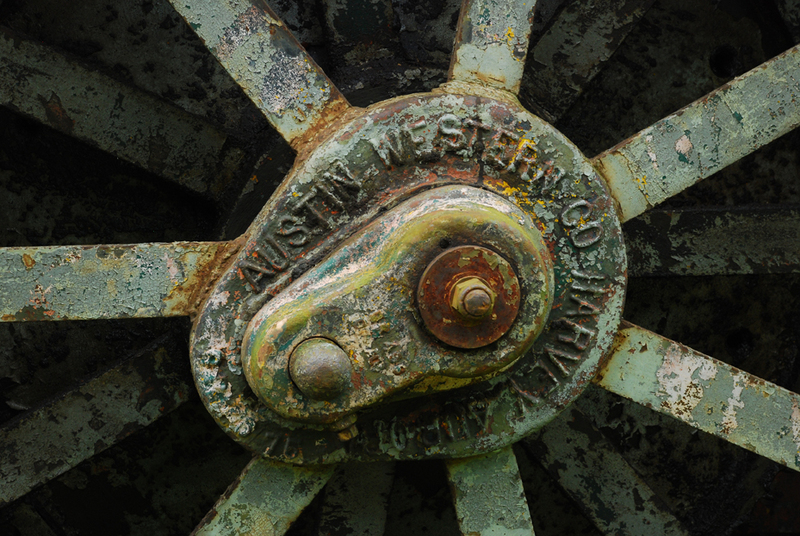 Well-worn machinery, hand tools that were used around the country home, weathered barn wood, rusty metal roofs and antiquated farm equipment are easy to discover, just waiting for an image capture. I found these rusty metal hoops leaning against the side of old barn-styled structure, which was a wood shop during colonial times. I have no idea what the hoops were for, as they are too large to have been used for barrels. I am wondering if they were parts of a wagon wheel, since there is a historic foundry nearby. 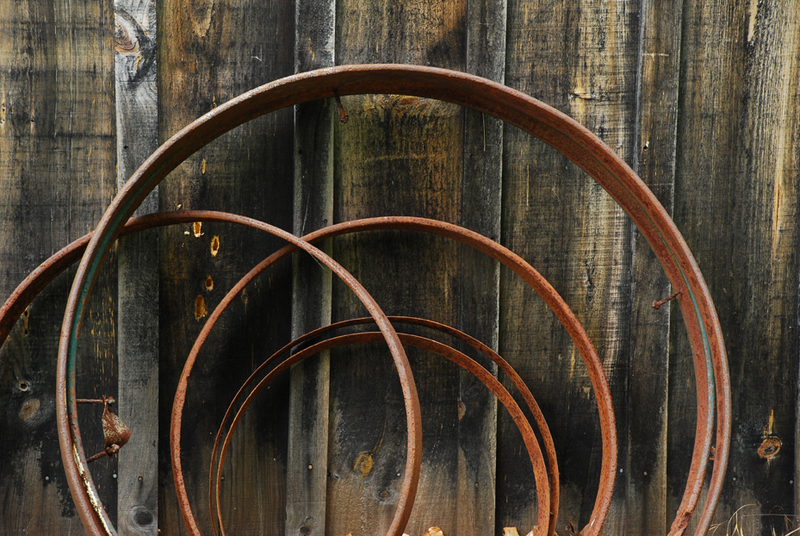 What captured my attention was the color, texture and straight lines of the weathered barn wood planks, versus the circular rusty metal hoops. The two together made an interesting contrast in shapes and textures. By snooping around these old structures, I have found another hidden treasure right in my neck of the woods. Not far from where I live is a collection of old relics that someone has gathered on an abandoned railroad spur, sitting along the edge of an overgrown field. There are locomotives, passenger cars, cabooses, cranes and various parts and machines associated with railroads. All of the items are long past their prime, but I am hoping they are waiting to be restored some day. This image is part of the engine cowling on an old diesel locomotive. The paint and steel have endured the heat from the engine and decades of exposure to the weather. This image is exactly how it looked on the overcast day when I took the photo, and has not been altered in any way. What captured my attention was not only the unusual coloration, but the patterns within the metal finish and the shapes of the louvers. Once again, I have found yet another hidden treasure in my own backyard.